It’s the time of the year again, where festive bells are ringing and Christmas songs are playing. For some of you, this is also the time of the year where you begin to worry about gift exchanges. 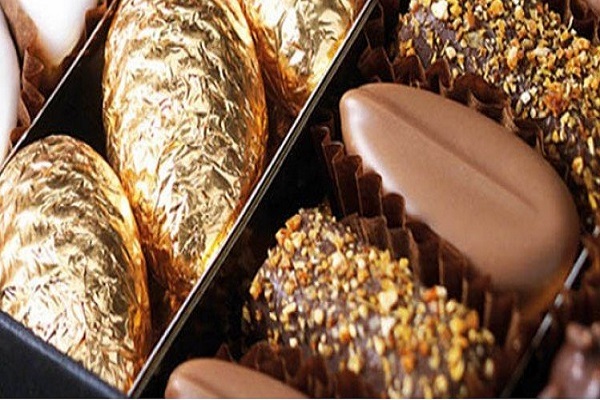 Now, what better gift is there for the inner chocoholics in most of us other than – chocolates! That’s right, this classic holiday gift never goes out of style because its intense richness and endless flavours will never fail to wow the crowd. 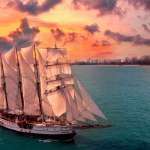 However, you don’t want to be grabbing chocolates off the supermarket aisle; you probably want to pick a luxurious chocolate gift for your friend, and this article will give you all the information you need to source for surprising delights here in Singapore. Banker-turned-chocolatier Anjali Gupta started her own handcrafted chocolate business with the motto that each chocolate should strive towards perfection, in taste and in appearance. Only chocolate pieces that pass a standard of perfection make it to the counter so you can be guaranteed quality. Anjali is also fond of experimenting with flavour, and she even created a Singaporean favourite: Kaya Toast Pandan Chocolate! What’s more, they have seasonal chocolates for every festival of the year, with their Christmas specials: Christmas Lollipops (SGD4) and a 2 Piece Truffle Box (SGD7.50). Check their website to see upcoming specials! 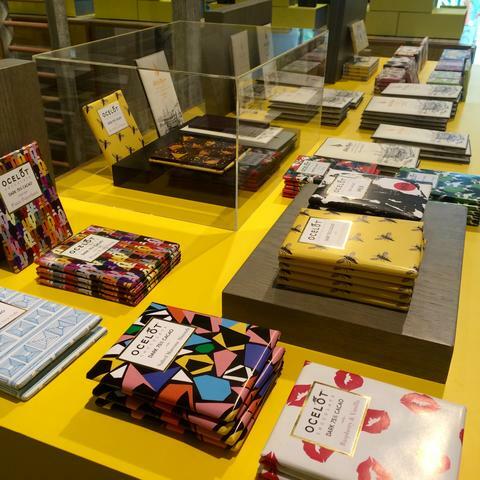 Beans to Bars is a local chocolate distributor carrying hard-to-find chocolate delights from Lithuania and Indonesia. They summed out their goal in this trade very neatly: To eat exclusive artisan chocolates we enjoyed when we were living overseas and at the same time not worry about ridiculous shipping prices. For chocoholics, this store will be the very first you should check out for exotic chocolate items. 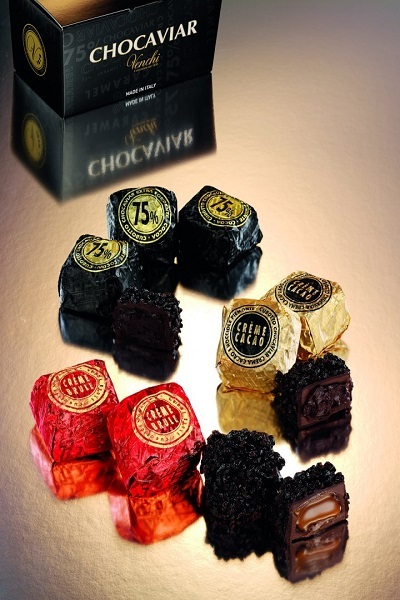 Some of their best-selling products include Chocolate Gianduja (SGD22) and Single Estate Chocolate Pinot Noir Salt Bar (SGD12). Check out their online store here! Jointly established by an experienced chocolatier and a medical doctor, you would expect nothing less of Chocoelf’s motto: No Sugar is better than Sugar-ed. Their unique chocolate flavours are made healthier with Jovia, a type of artificial sweetener. Not to worry, the richness of the chocolate is not compromised. In fact, Chocoelf are known to be rather experimental with the flavours of their chocolate, producing never-seen-before Rose & Coconut Dark Chocolate (SGD8.80) as well as Curry Dark Chocolate (SGD8.80). Of course, we also have to mention the pride of Chocoelf, Kaya (SGD8.80) and Durian (SGD9.80) chocolates. You can also check out their online store here! 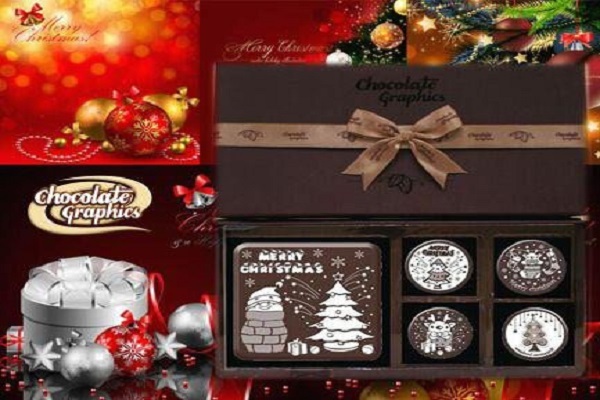 If you really want a unique chocolate gift set for your dearest and nearest, head to Chocolate Graphics, where you can personalise your own chocolates! No more boring-looking chocolate bars; they can now carry a message for you and – if you really want to be remembered for being a great gifter – a photograph as well! 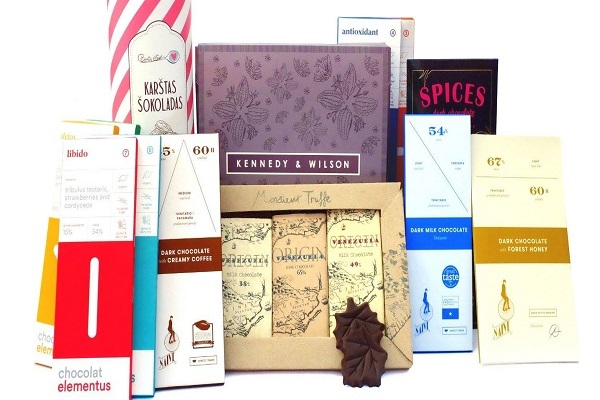 From design to flavour to packaging even right down to delivery, Chocolate Graphics got it covered. They will even go all the way to review designs and packaging to make sure they nail down the perfect chocolate gift. If you want to celebrate this Christmas with a bang, this is the right store for you. 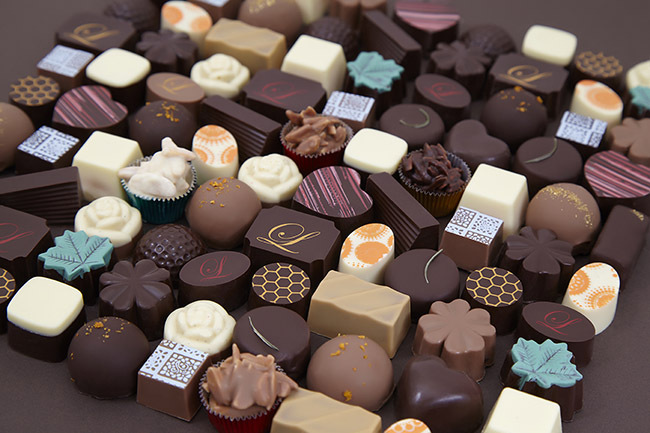 A trip to Paris in 2014 sealed the deal for founder and chocolatier of Demochoco, Lim Jialiang. The plethora of chocolates there was so irresistable (and who can blame him?) that when he came back to Singapore that in same year, he dedicated his career entirely to the art of chocolate-making. 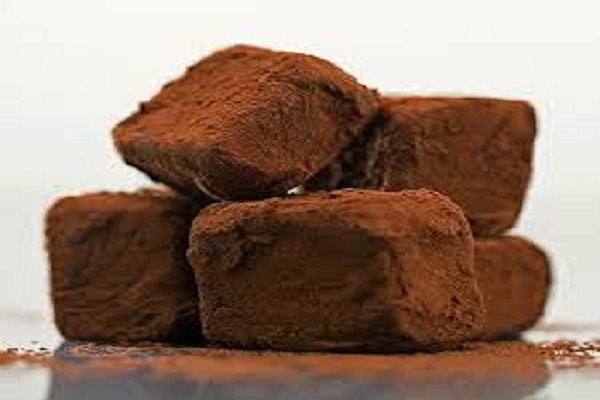 If there is a litmus test for chocolate-love, then making each and every chocolate truffle by hand and releasing a new blend of cocoa each month will surely be it – think about the painstaking efforts needed to test out different recipes each month. 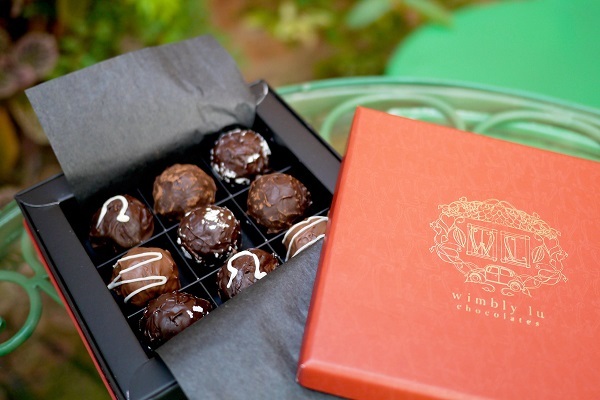 Definitely try their single-origin chocolate truffle before the season changes! Check out his online store here! 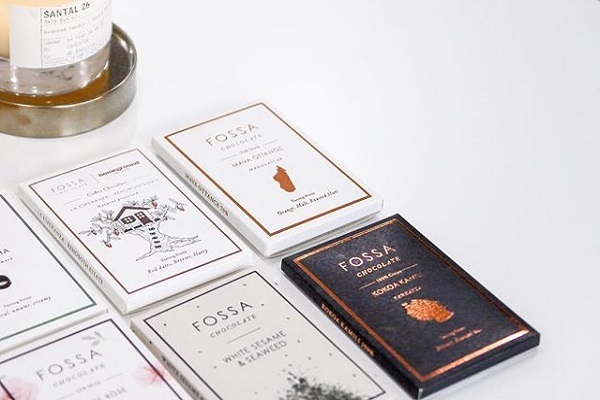 If you want another chocolatier that emphasises dedication in their production, Fossa Chocolate will surely impress you. They do the heavy-lifting processes themselves, from selecting, roasting, cracking and winnowing the cocoa beans to perfecting the recipe for your consumption. They even host chocolate workshops so you can find out just how this team bring their chocolate creations to the table, not forgetting hand-making chocolate gifts using top quality ingredients all provided for you. Not to worry if you’re skeptical about your skills, Fossa Chocolate has a Chocolate Gift Set for SGD44 (4 pieces) or SGD58 (6 pieces) where you can get flavours from Bolivia and Indonesia, which we bet you rarely get the chance to taste. 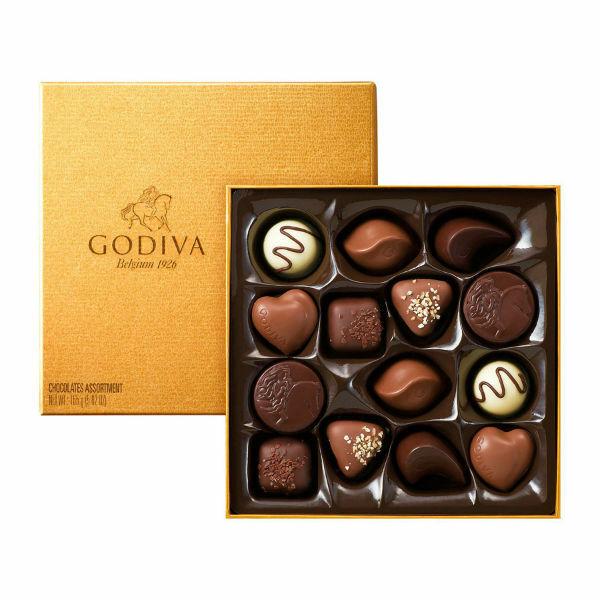 Since its establishment in 1926 in the City of Chocolates, also known as Brussels, Belgium, Godiva has expanded its business overseas and is now well-loved by Singaporeans. More than just quality chocolate, Godiva actually has a moving legend behind its name – of Lady Godiva who rode through the city naked to fight for lifted taxation for her people. The shop therefore embodies the passion of its creator, which is simply endearing to us. If you’d like to head over for their goodies, try their best-sellers: Assorted Chocolate Biscuits (SGD52 to SGD115), Chocolate Carre Collection (SGD42 to SGD136) and Chocolate Gold Edition (SGD72 to SGD165). 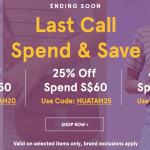 Outlets: ION Orchard, Bugis Junction, Raffles City Shopping Centre, and Takashimaya. You can also check out their online store here. Hello Chocolate birthed into being when its founders, Dmitry and Nina Minkov, made it their mission to bring together the world’s best chocolate creations in one convenient outlet. Taking their daughter and their taste buds around the world, the family embarked on a quest to uncover chocolates from different countries with different cultures and different taste buds. You can tell that this couple is serious about their work when many of their featured brands (Omnom from Iceland, Kad Kokoa from Thailand, and Zotter from Austria) won the International Chocolate Awards in 2017. The store also carries Christmas sets from SGD36 so do check them out! You can check out their online store here! With over 160 years of heritage, Hediard started out as a luxury delicatessen in Paris and has since expanded in business and trade. Today, they delight in making their household brand of chocolate confectioneries that boasts of impressing the finest connoisseurs. This is not just an empty claim; winning the Best Chocolate Award by Singapore Tatler in 2012 is testimony of their refined taste. In fact, their chocolate catlog includes flavours such as Raspberry Lychee Granite, Le Praline Dulcey, and even a Tea Ganache Dark (chocolate infused with their special blend of tea). 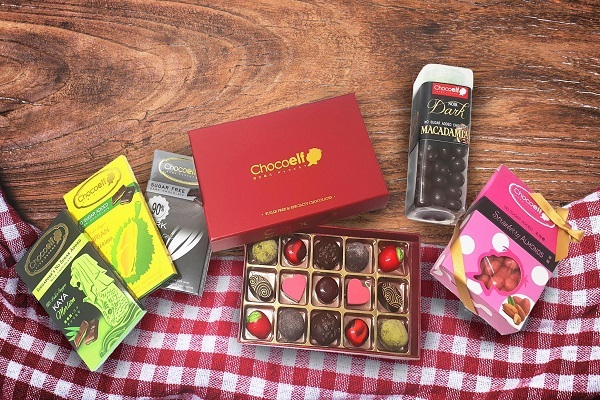 To get the best of each flavour, get their Assorted Boxes which range from SGD12.90 to SGD119. Proclaimed Asia’s Best Pastry Chef by San Pellegrino in 2013 and 2014, Janice Wong is celebrated for her edible art installation with marshmallow ceilings and gumdrop-covered walls among her top creations. Taking inspiration from everyday objects, she has breathed art into her chocolate creations, like the lego blocks Chocolate Bon Bon Enzyme Marzipan. 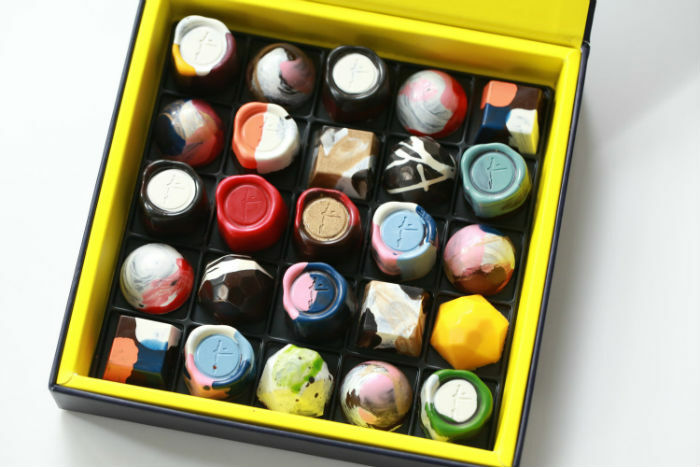 If you’re unsure what to choose among the amazing chocolate art, go for the Assortment Boxes (SGD12 to SGD90) and the Chocolate Crayons (SGD36 to SGD95). 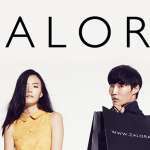 Raffles City Shopping Center, 252 North Bridge Road, B1-48, Singapore 179103. You can also check out her online store here! Laurent Bernard is a French artisan chocolatier who boasts of 20 years of culinary experience, with the past 10 years spent creating chocolate desserts in his namesake cafe, Laurent Cafe & Chocolate Bar. What is so amazing about Bernard is his passion and dedication for the art of chocolate-making: each ingredient is carefully sourced and selected from all over the world, and Bernard himself took pains to establish close relationships with producers and farmers to ensure the very best ingredients. His store carries 19 chocolate bars (SGD13.20 to SGD25) as well as a variety of Assortment boxes (SGD8 to SGD217) so you are spoilt for choice. Don’t let the simplistic design fool you; the flavours need only speak for themselves. You can also check out his online store here! You’re probably bored now of the classic chocolates and are looking for something more creative. Leela’s Fine Chocolates got you covered. Producing a myriad of chocolate designs from traditional Santa Claus chocolate to more vibrant edible Christmas tree decorations, Leela’s European couverture chocolate will match taste with appearance. They even have quirky edible footwear (SGD12 to SGD30) made entirely of chocolate if you want a really eye-catching gift! Check out her online store here! After the experimental chocolates that can almost count as avant-garde, it’s nice to go back to the roots of chocolate where simplicity is at its best. At See’s Candies, your taste buds will dance with the nostalgic taste of chocolates with traditional nuts and caramel fillings. Even with the multitude of chocolate flavours available, See’s Candies have a custom mix option at their store where you simply load up your box with your favourite treats. 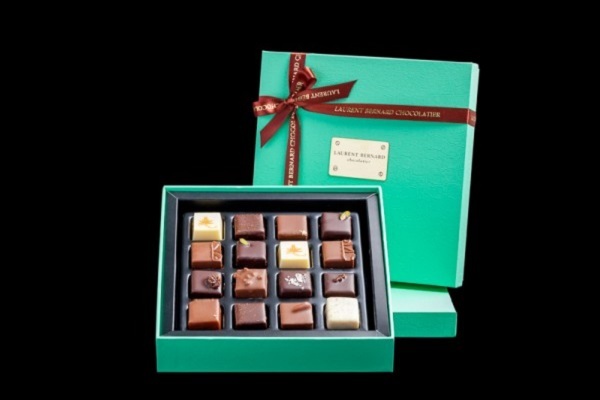 The producers have also cleverly packaged the chocolates so that any box you buy will be perfect as a gift by itself. Venchi tells the story of a young man with great ambitions. At age 16, founder Silviano Venchi was already training to make fine chocolates in Turin, Italy, also known as the birthplace of Gianduja (a hazelnut chocolate paste). You can be sure that Venchi’s pride is in their hazelnut-chocolate creations and a key ingredient is the Nocciola del Piemonte (Piedmont hazelnut), a sophisticated Italian hazelnut. A must-try item at Venchi is Nougatine, the chocolate which gave Venchi its worldwide fame. You’ve probably heard about Wimbly Lu’s waffles – they are all the rage ever since the cafe opened in 2013. However, we must not forget that their expertise is still chocolates (it’s in their name after all) and their homemade chocolate truffles do not disappoint. 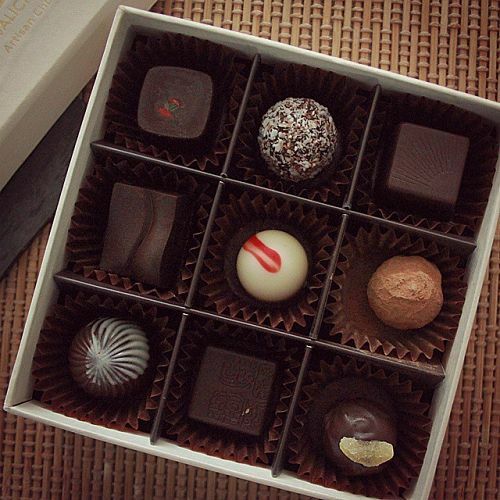 Coming in 8 flavours at SGD2 each – Baileys, Champagne, Rum & Raisin, Dark, Milk, Milo, Orange and Salted Caramel – these bit-size delights will make any chocoholic friends squeal in delight, especially those who appreciate a splash of alcohol in their truffles.